Mr. Little had led the Labour Party since November 2014, but he had failed to make headway in the polls against a long-serving National Party-led government, and support for Labour had steadily declined over the last six weeks. “We’ve not been able to get our message out about the things that actually matter,” Mr. Little said, talking about the “disturbing and disappointing” polls. Doubts over Mr. Little’s leadership had grown over the last 24 hours after he admitted in a Radio New Zealand interview that he had to take responsibility for the party’s dismal polling and had considered resigning. He said senior Labour members had told him not to. But at Tuesday’s Labour Party caucus meeting he did just that, despite insisting just hours earlier that he would not step down. Labour has been plagued by leadership woes since Helen Clark, the former prime minister, lost her last general election in 2008. 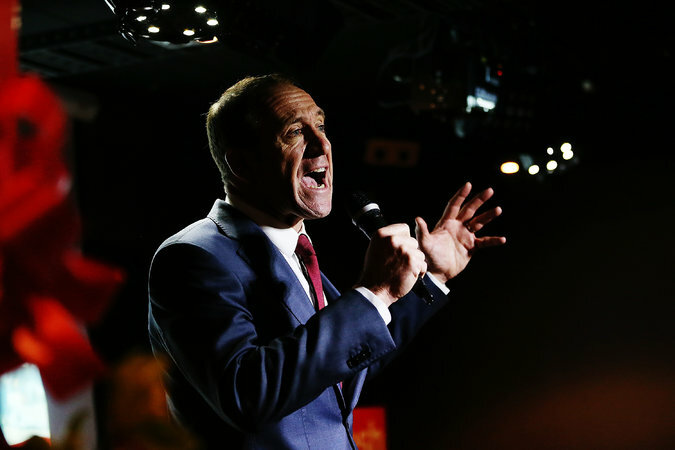 Since then, Labour has cycled through five leaders, including Mr. Little, with none managing to make a significant dent in the popularity of John Key, the long-serving prime minister from the National Party. Mr. Key resigned in 2016, saying he didn’t have another term in him, effectively handing the prime ministership to his deputy, Bill English. But the Labour Party continued to struggle; in June, it was embroiled in controversy involving an internship scheme in which young volunteers from around the world had arrived in New Zealand to work, unpaid, to help the Labour campaign. Some of the interns complained to the news media about their living conditions. In New Zealand’s parliamentary system, parties outside the two largest typically build coalitions to support the government so it can pass legislation. In the last month, the Green Party has been rising in the polls to 15 percent support as Labour has been on the decline. The results suggest the Greens have been the beneficiaries of Labour’s disarray.